More than 40 years after the first initiatives were taken to ban the use of PCBs, the chemical pollutants remain a deadly threat to animals at the top of the food chain. A new study, just published in the journal Science, shows that the current concentrations of PCBs could lead to the disappearance of half of the world's populations of killer whales from the most heavily contaminated areas within a period of just 30 to 50 years. Killer whales are particularly threatened in heavily contaminated areas like the waters near Brazil, the Strait of Gibraltar and around the U.K. Around the British Isles, the researchers estimate that the remaining population counts less than 10 killer whales. Also along the east coast of Greenland, killer whales are effected due to the high consumption of sea mammals like seals. The killer whale is one of the most widespread mammals on Earth and is found in all of the world's oceans from pole to pole. But today, only the populations living in the least-polluted areas include a large number of individuals. Overfishing and man-made noise may also affect the health of the animals, but PCBs can have a dramatic effect on the reproduction and immune system of the killer whales. 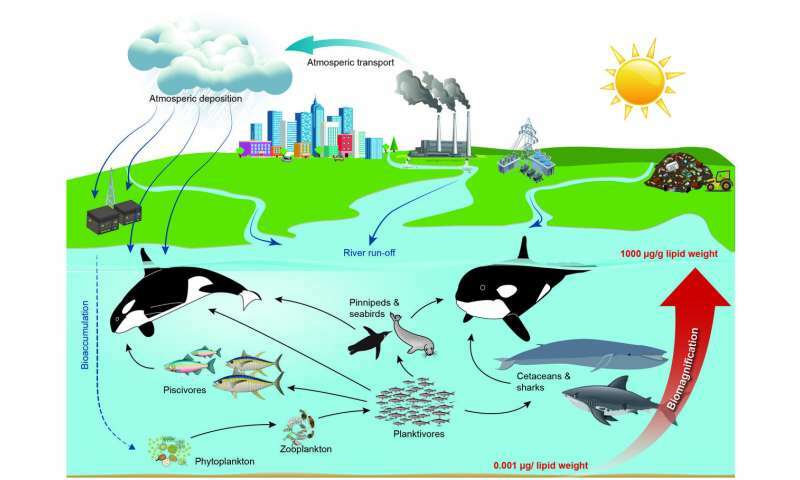 The diet of killer whales includes seals and large fish such as tuna and sharks the accumulate PCBs and other pollutants stored at successive levels of the food chain. 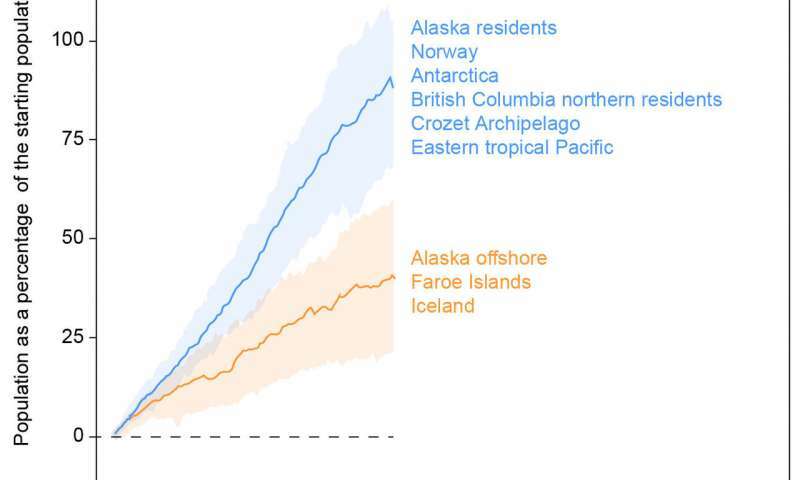 It is these populations of killer whales that have the highest PCB concentrations and it is these populations that are at the highest risk of population collapse. 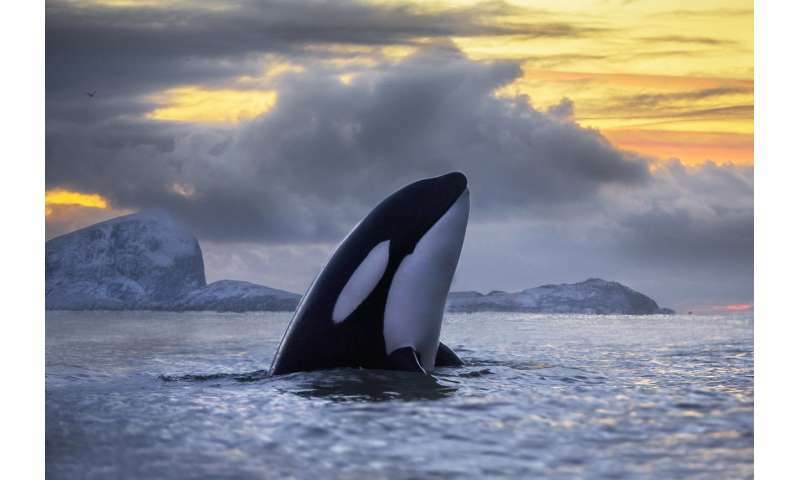 Killer whales that primarily feed on small-sized fish such as herring and mackerel have a significantly lower content of PCBs and are thus at lower risk of effects. PCBs have been used around the world since the 1930s. More than 1 million tonnes of PCBs were produced and used in, among other things, electrical components and plastics. Together with DDT and other organic pesticides, PCBs have spread around the global oceans. Through the 1970s and 1980s, PCBs were banned in several countries, and in 2004, through the Stockholm Convention, more than 90 countries have committed themselves to phase out and dispose of the large stocks of PCBs. PCBs are only slowly decomposed in the environment. Moreover, PCBs are passed down to orca offspring through the mother's fat-rich milk. This means that the hazardous substances remain in the bodies of the animals, instead of being released into the environment where they eventually deposit or degrade. The research group, which includes participants from the United States, Canada, England, Greenland, Iceland and Denmark, reviewed all the existing literature and compared all data with their own most recent results. This provided information about PCB levels in more than 350 individual killer whales around the globe—the largest number of killer whales ever studied. The effects result in fewer animals over time in these populations. The situation is worst in the oceans around Brazil, the Strait of Gibraltar, the northeast Pacific and around the U.K. Here, the models show that the populations have virtually been halved during the half century where PCBs have been present. "This suggests that the efforts have not been effective enough to avoid the accumulation of PCBs in high trophic level species that live as long as the killer whale does. There is therefore an urgent need for further initiatives than those under the Stockholm Convention," concludes Paul D. Jepson, Institute of Zoology, Zoological Society of London, England, another killer whale expert and co-author of the article.